He gets some things from me, for sure – his stubbornness, his aversion to big crowds, his struggle to wake up in the morning. How well I know that sweet, sleepy longing for five more minutes under the warm duvet. But, other than that, he is DorkyDad in miniature. He is all boy. They both have a taste for jellybeans, digging around in the bottom of the bag to find their favourite flavours, then scrunching up their faces to chomp and chew through the colourful sugary spectrum. They’re ice cream fiends too. Whatever the weather – sunshine or snow – their eyes light up at the sight of a scoop shop. DorkyDad prefers plainer flavours; vanilla or strawberry, a chocolate flake if he’s treating himself. DorkySon likes to jazz it up a bit. Jamaican coffee, with a marshmallow mix. Mango sorbet, with sprinkles on top. We always have to find a nearby bench. Somewhere they can work around those waffle cones, exchange nibbles, debate in detail who made the better choice. There are the cowlicks that won’t sit down, no matter how much styling product or maternal spit is applied. There are the spontaneous, shotgun laughs, shocking and loud in the most inappropriate of places. There is the scowling brow of concentration, the piercing blue stare, that same guttural growl when life gets too much. Then there is all that energy. Goodness. Where does it come from? There are fearsome wrestling matches, closely followed by the tightest of hugs. There are a lot of books, and jokes about poo. There is hypochondria – the constant administration of band-aids and ointment, reassurance and magic kisses. Neither one of them can open a pot of yoghurt without it exploding across the room. Neither one of them can hear live music without stopping for a happy wee jig on the street. They both call me through, from another room, or upstairs, to help find some beloved object that is usually less than a foot away. On Sunday afternoons there are the arguments about television – DorkySon desperate for one of his shows, DorkyDad determined to watch some war film or another. Eventually they settle on a happy compromise – extreme engineering, or a high-speed car chase. They snuggle up together, content and quiet. Both my boys love playing with words and sounds, turning up the radio and dancing their metaphors around the room. Pithy puns tumble from their lips, and sometimes they even surprise each other with a perfect rhythm or rhyme. They like to feel loved, and are loving in return. There are tickles and back scratches, skulls often pressed hard against each other. They both sidle up to me when they need a little attention. This is a tactile house, full of kissbombs and DorkyHugs, a little boy who likes to fold his Daddy’s ears into paper aeroplanes. It was a good trick, they played on me. I think they might have been in on it together. I didn’t get the daughter I was expecting. I didn’t get the calm arrival or the rosy glow. But I got so, so much more. There is nothing in the world like boy love. It is enthusiastic, and always a delight. Boys rock! I have 3 and they are so much fun, the raw honesty is a relief from the drama that is a girl’s life. Raw honesty is a very good way of putting it. You’re very naughty, you know. I’ve been perfectly content with my two girls up until now, leaving the longing for one made of puppy dog tails to the husband, but now you’ve made me wonder what it would be like to have one of my own! If I’m pregnant within a year, I’m blaming YOU! Lovely, lovely post, and am so with you on the boys being unable to find stuff, though if it makes you feel better, my daughter is just as hopeless- the ability to find stuff must be one of those things that arrives with motherhood I think! What a lovely piece of writing; entertaining, subtle humour, snarky in bites. Liked the content too. Thank you. You know, these posts, collected into a slim book, would go down very well on the Mothercare bookshelf. You really are a good writer ( or so the comments would intimate). I recognise all of this: the expectation I’d have a serene little girl, the impromptu dancing, the cuddles. The ENDLESS amount of energy (or none at all – my boys are binary). It was such a shock to me, and sometimes I wonder how I’m going to handle obsessions with swords and balls and dirt. You’re right though, boy love is always blissfully enthusiastic. To the point that I find myself wondering, if we had another and it was a girl, would I even know what to do? Oh absolutely, we often say there’s no volume control, it’s either on or off with nothing in between! Spot on! Aww this makes me want to pick Elliot up from preschool right now. He only got there 45 minutes ago! Boys are great. Oh but you need that downtime when they’re at preschool right?! Time to recover! Oh that’s lovely, definitely one to remember for those times when you need to difuse things! Oh I love this so much. I had a bit of a shock when my first little guy was born, especially after my first born was a girl. I was worried I wouldn’t naturally connect as well or understand him. But oh wow…that boy love thing. There is nothing like it! Jenny, you’ve never shopped with DorkyMum. We expected a girl too. She was called Lottie till the 20 week scan. We both had tears in our eyes at our discovery but 4 hrs later we named him and never looked back. I didn’t think I could enjoy dressing a boy but I proudly choose his clothes to wear everyday. Your post is SO beautifully written. I love being a boy mum. What a beautiful post! Just bursting with love and pride. Oh, now I’m singing Love and Pride by King phahaha! Well if I’ve put that in your head then my job is done! Yep! totally that! It was like reading about Badger and Splosh – there is nothing quite like it! I so love this. And I love how we see our children develop in front of us and become real little people and miniature versions of ourselves. I see so much of myself in my son, and then I hear him laugh and he is his dad. It’s funny how we create these little creatures and then we are surprised by how they are a combination of us isn’t it? I had the three boys first and so I was all about boys and when I fell pregnant, I never even considered that I could have a girl. In fact I had an amnio and when I rang for the results, they told me it was a girl and I asked her to double check. A is such a force of pink and sparkly but in any ways she has the same energy and enthusiasm for life as her brothers. Lovely post again. Such a lovely post! i have two girls but really wanted a boy too! so nice to see some of ourselves in our kids though. seeing them grow and flourish is the best thing in the whole world! I completely agree, it’s a constant joy! hehe. My Mum says this too, with two girls its a strange concept to me, Though have you heard the old saying. A girl is your friend for life, a boy just until he get a wife. Its so not true I’m sure but its a funny saying. Lovely post, great wee details (I haven’t eaten Jellybeans since pregnancy, maybe I should try them again!). I always imagined myself with a girl too, so much so we chose to find out the gender at our 20 week scan. Took us minutes to get used to the idea of having a boy, he’s wonderful. I don’t know how much of the way he is is down to his gender but he has LOADS of energy, is very physical, and very wriggly! He is also one of the most caring little people I know, even at 2. A wonderful post. Twin boys followed my daughter. It is completely immense, and yes- the struggle to find what is under the nose remains a mystery. What a beautiful portrait of the relationship between Dorky Dad and Son. It sounds so warm and loving. 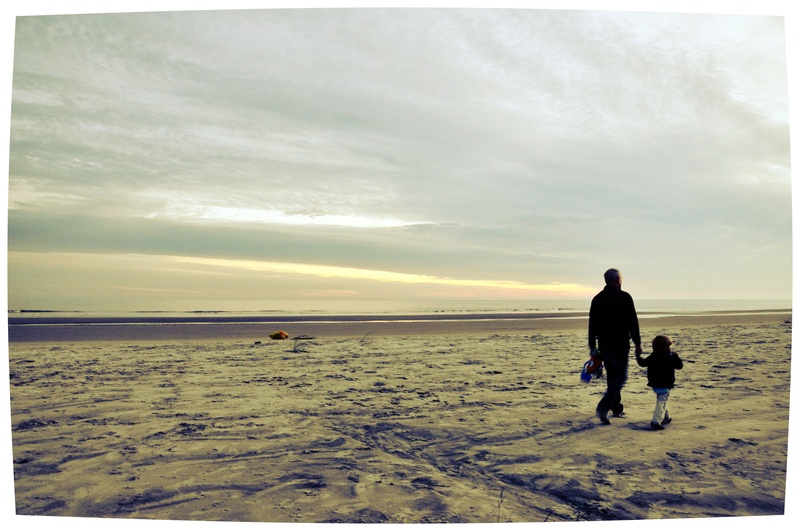 I am also thinking about a post to write about fathers day…. the relationship with Dad is so different. Loved the image of the lid coming off the yogurt pots and it spraying everywhere. X.